What’s the best roast for the crockpot? We think the Chuck Roast is the best for the crockpot. Because of the marbling, it has the most flavor. Other alternatives include an Arm Roast and Sirloin Tip. The filet is by far, the best steak being the most tender, but if you ask our meat cutters and many of the other staff, they would suggest the Boneless Ribeye. Because of the marbling, it has the most flavor. Farmer Style is a ring sausage made of 75% pork and 25% beef. It is more course ground than our ring Bologna and it contains mustard seed. Some people refer to it as a “Country Sausage”. It is not fully cooked. Our Landjaeger is the same recipe as Farmer Style (see above), however, it is in a brat casing. Like the Farmer Style, it is not fully cooked. Cannibal is ground inside round with onions and salt and pepper. It is important to note that this is inside round and NOT hamburger. It is typically eaten raw on crackers. It is also known as Tiger Meat or Steak Tar Tar. We make our head cheese from beef, pork and lots of vinegar. Back in the day, head cheese was made out of head parts – pork tongues and pork snouts. Gretzwurst is a German breakfast sausage. It is made with pork and beef, steel cut oats and seasoning. It is typically pan fried for breakfast. Our hamball mixture consists of 50% ground ham and 50% ground pork. Other ingredients (bread crumbs, milk, eggs, sauce, etc.) must be added for the traditional hamballs. What’s the difference between the Schmidt’s Wieners and Franks? The Schmidt’s wieners and franks are the same recipe, but in a different sized casing. How lean is our hamburger? Our Lean Hamburger is 85%+ and our Extra Lean is 90%+. U.S. Prime – This is the highest grade of beef with the most fat marbling. This meat is very tender and only accounts for about 2.9% of all graded beef. US Prime is usually reserved for high end dining establishments. U.S. Choice – choice beef is widely available to consumers in supermarkets and restaurants. This beef has a good amount of fat marbling, although less than U.S. Prime. U.S. Choice accounts for roughly 50% of all graded beef. U.S. 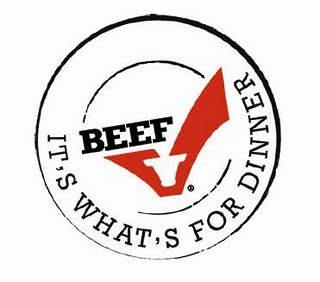 Select – Select beef is also widely available in the retail market. It is much more lean than U.S. Choice and tends to be less tender or juicy. U.S. Select was formerly labeled as “Good”. What is the yield for a custom processed beef? Hanging weight is approximatley 60-64% of live weight depending on the breed of the animal. Take home weight is 60-63% of hanging weight assuming that all cuts are utilized. If the animal is being made into all hamburger, the yield is approximately 50-55%. What is the yield for a custom processed hog? Hanging weight is typically 70% of live weight. Take home weight is approximately 70% of hanging weight assuming all the cuts are utilized. How long can I store meat? See the attached link for recommended storage times. See the attached link for recommended minimum cooking temps. See the attached link for products that we make and package with gluten. It’s important to note that all products are produced on equipment that also produces products with gluten. See the attached link for products that we make that contain Monosodium Glutamate (MSG). It’s important to note that all products are produced on equipment that also produces products with MSG. 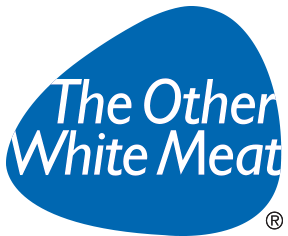 Helpful links related to the meat industry. 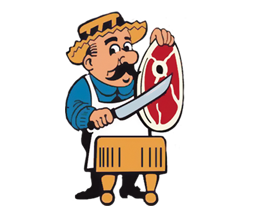 For a wealth of information on beef cuts, how best to prepare and nutritional information, visit the Minnesota Beef Council’s Interactive Butcher Counter. For inspiration on recipes, cuts and nutritional information on pork, visit Pork Be Inspired.